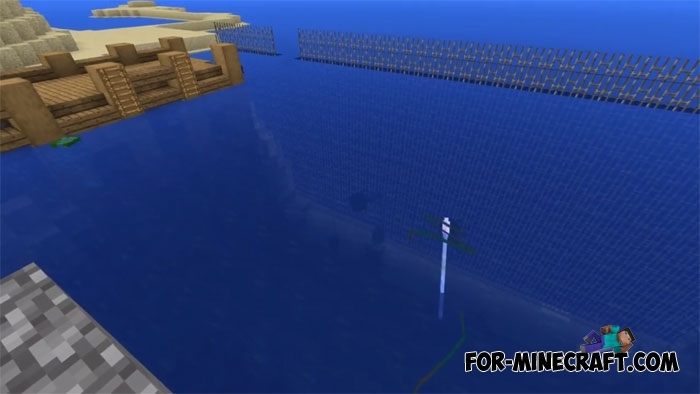 This is the first beta version for Minecraft Bedrock which adds some features from global Update Aquatic. Do not wait for the new underwater kingdom because the developers will gradually introduce new features, beta by beta. 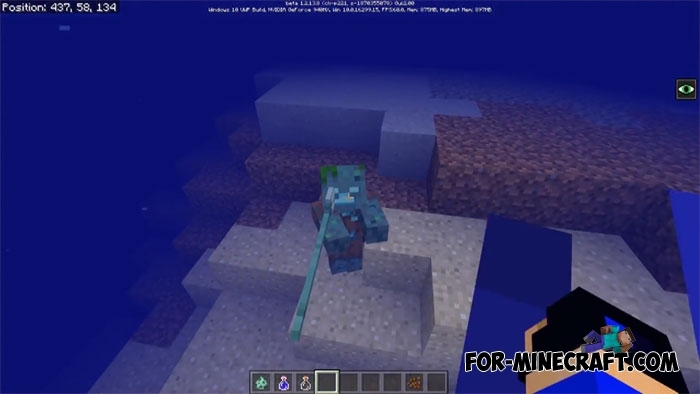 In the end, we will see Minecraft Bedrock 1.3 which will be the final stage in the development of the underwater upgrade. Well, for now you can download this map and immediately try out the tridents (a new item used as a weapon for both near and long-range fights). 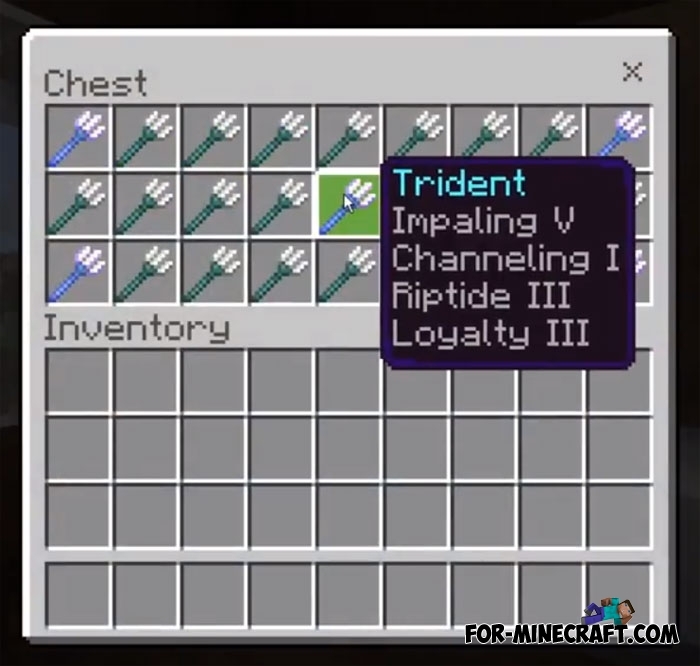 Finding or getting a trident you can enchant it with new enchants. This map is a quick demonstration of what a trident is and what it does. In addition, dive to the bottom and find a new mob that looks like a zombie and is dressed in torn clothes. Know in advance that it is not at all peaceful and attacks you as soon as you get close to the dangerous distance so get the trident and throw it at the enemies.